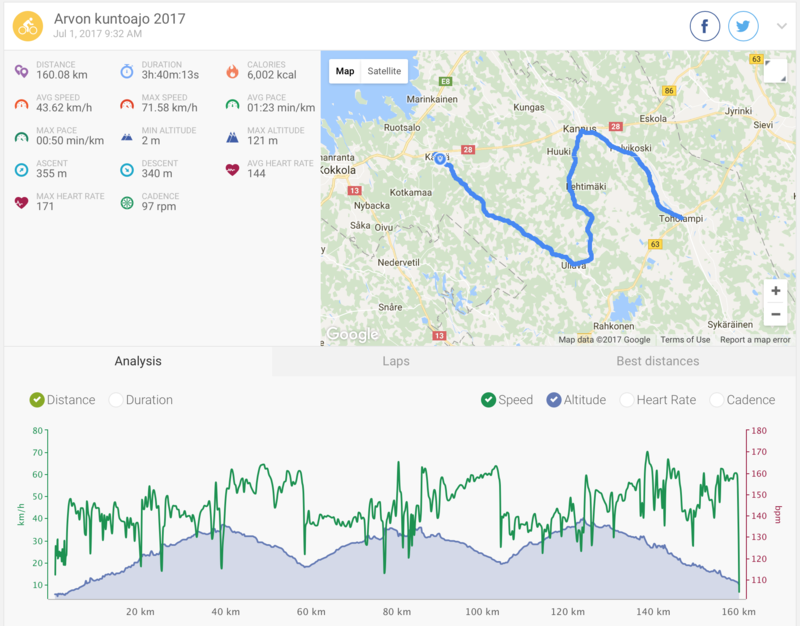 Last Saturday Kälviän Tarmo organized once again the traditional Arvon Kuntoajo -cycling event. This time I decided to try and go with full speed and see if I can keep up with the fastest upright bikes with my velomobile. This year the organizer was slightly revised the routes. All longer routes were new, even though they were on same familiar roads. 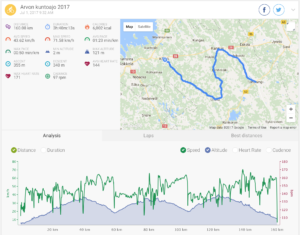 At first, I planned to ride the 110 km route. All the fastest upright cyclists are going to ride on that route. However, at the last moment I decided to ride 50 km further so I rode the 156 km route. It took 3 hours and 40 minutes. The average speed was a quite fast 43.6 km / h. So I was the fastest rider of the day. The weather was really good this year, and the event was once again excellently organized. So next year all over again. Here’s a little video of the event. Huomasitko, että ajettiin sua vastaan vähän ennen Lamppia. kas kummaa keinuminen väheni taas sinulla saattaa olla sama ongelma laita minulle sähköpostia jos on kysyttää!